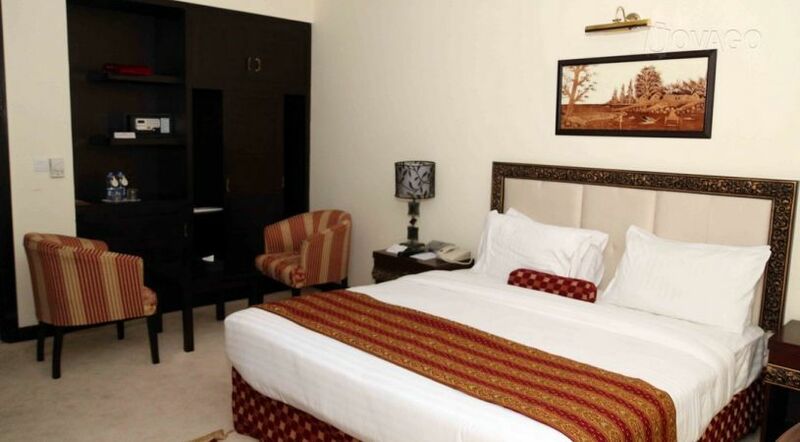 Book Ramada Hotel Islamabad on cheap rates | iMusafir.pk. Ramada Islamabad Hotel invites you to savour the delights of living in style and finesse! Superb accommodation and a gracious atmosphere make the Ramada Islamabad an sophistication amid the hustle and bustle of the city. Ramada Islamabad Pakistan, with its charming and exclusive ambience, is a superb setting for business and leisure travellers alike. Sumptuously decorated with a modern edge, the rooms combine a refined classicism with high style in a way that spells luxury. We look to offer more than just somewhere to sleep: our classic lines are designed to cosset you in luxury! The Hotel offers exceptionally gracious accommodation with 107 well appointed Rooms & Suites, with a fantastic view of the city. There is an option of Non-Smoking Rooms. It is the only Hotel with a pool. There is a well equipped GYM and Health Club Facilities for Gents and Ladies. Leave behind your day's tension and lets us help you relax to be ready for the day to come.